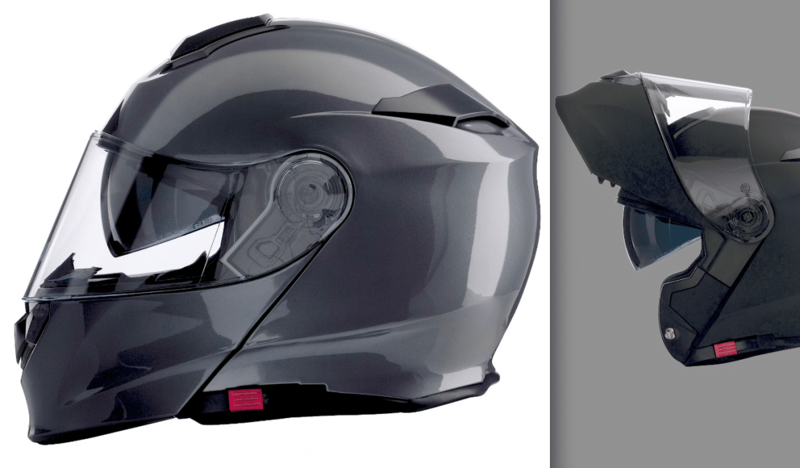 Z1R Press Release: After a long and much anticipated wait the Z1R Modular Solaris helmet is finally in stock and ready to turn heads. We spent a lot of time getting this helmet just right, and once you try it on you won’t be disappointed. Easy to operate Drop-Down Sun Visor that locks in place (Smoke). Single finger chin-bar release button makes it easy to open even with gloves on. Fully removable moisture wicking liner and cheek pads (different sizes available to swap out for the perfect fit). Closable chin and top vents for maximum ventilation to help keep you cool. 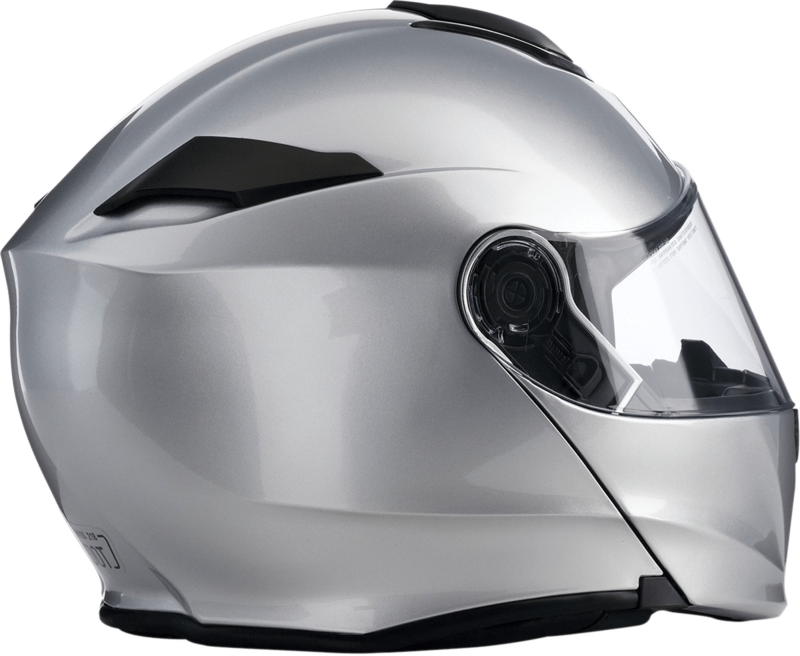 Rear exhaust vents help incoming air move through the helmet. We offer the street version in Flat Black, Black, Silver, White and Dark Silver and each color is available in sizes XS through 2X. The street version (all colors) is available for $129.95. For all you winter warriors out there don’t worry—this helmet was made with you in mind. If you love snow as much as we do here in Wisconsin, then this is the helmet for you. 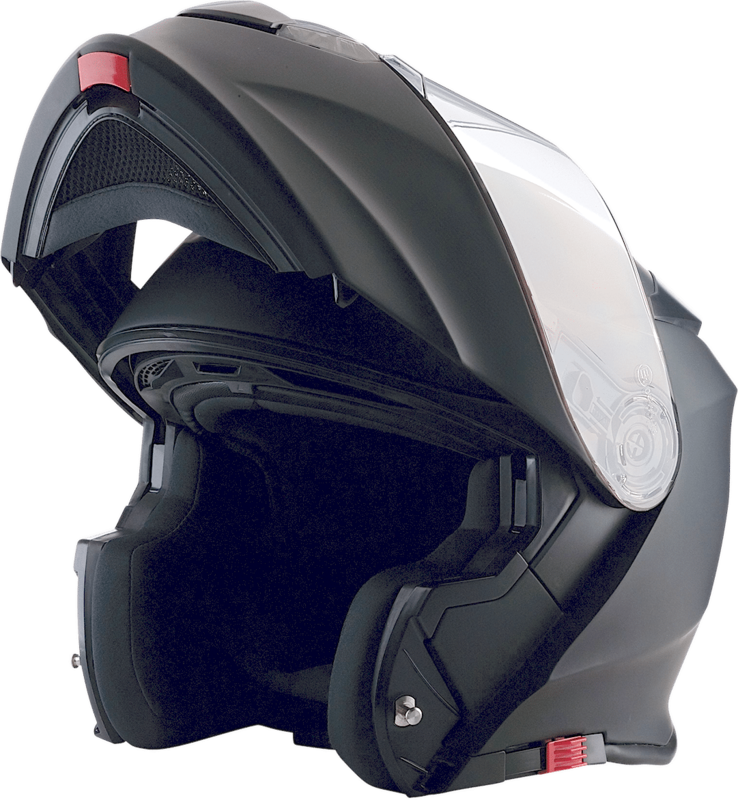 We also have Dual Shield and Electric Shield versions of this helmet available, ready to go right out of the box. Both of these versions will come with a breath box & chin curtain. The electric version will also come with the power cord. Both Dual & Electric versions are offered in Flat Black or Gloss Black. The dual shield snow version is available for $179.95. The electric shield snow version is available for $199.95. 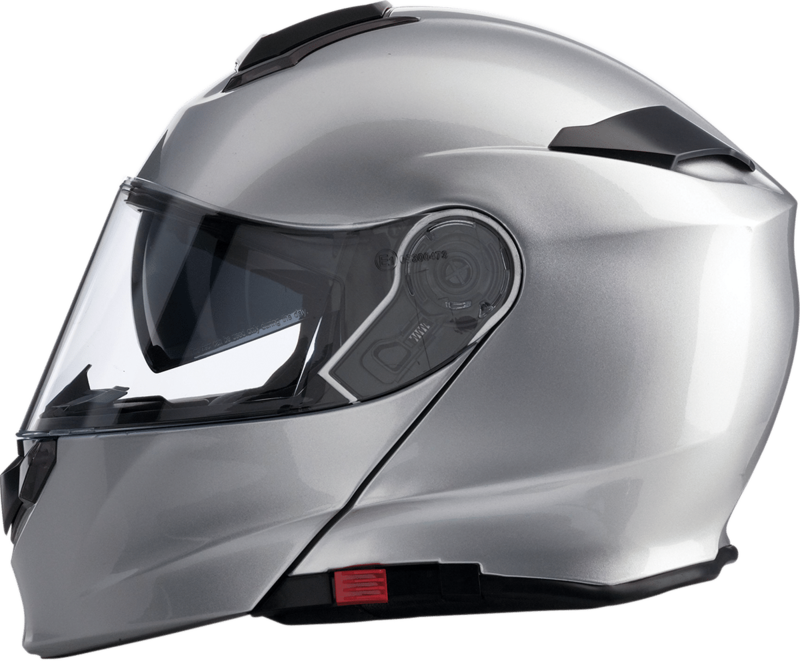 Depending on your choice of color, or favorite riding season, the Solaris can easily be your all-year helmet. We offer all the snow parts available for purchase separately if Flat Black & Gloss Black isn’t your style. Spring, summer, fall, winter—no matter what time of year it is—you will look good in the Solaris.